The first time I heard Janis Joplin's work was in the early 1970s. My childhood friend, Lee, was a big fan of Janis, and introduced me to her tunes. I was immediately captivated by her soulful sounds and the bluesy beat of her songs. 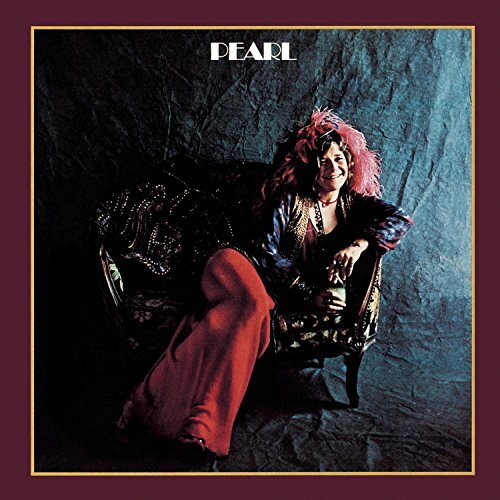 While Janis Joplin recorded four studio albums, few compare with the tunes on Pearl. Released in 1971 just a few months after her death, it quickly became the number 1 album on the Billboard music charts, where it stayed for 9 full weeks. What was the reason for this popularity? I believe it is because Janis sang from the heart. Her voice is a bit mournful, and her words come from deep within her soul. While some of the songs show a bit of humor - such as "Mercedes Benz", others touch on love and life. Later versions of Pearl contain these same songs, plus "Summertime", "Ball & Chain", "Piece of My Heart", and many others. While I'm happy with the original Pearl album, it's a bonus to have these other songs in one complete set. One of my favorite Janis Joplin songs is "Me & Bobby McGee". It was originally written by Kris Kristofferson and performed by a number of other artists before and since Janis. However, Janis' version is not only recognized by more people, but more popular. When Janis released it as a single, it became her only number 1 single recording. 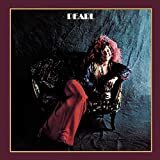 Another great album featuring Janis Joplin is Cheap Thrills. Released in 1968, it was the 2nd album by Big Brother and the Holding Company, and the last album by that band that featured Janis as the lead singer. My favorite songs on this album are: Piece of My Heart, Summertime, and Ball & Chain. In 1967, Janis Joplin made her first large-scale appearance at the Monterey Pop Concert, which was a 3-day outdoor event. 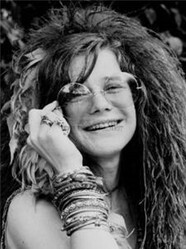 Performing with Big Brother & The Holding Company, Janis performed "Ball & Chain", which ultimately caused them to be signed by a major record company. There are a number of incredible artists in this concert movie, and is a must-have if you enjoy 1960s rock & blues. Which Janis Joplin song is your favorite? Are you a fan of Janis Joplin? I only carry one CD in my pickup truck, and it is Pearl by Janis Joplin. On warm, sunny days, I roll down the windows and turn up the volume, allowing the words of Janis to touch my soul. Whether it's "Cry Baby", "Summertime", or "Try", the words and the beat lighten up my day. My childhood friend Lee, who I mentioned above, passed away at an early age, just like Janis. At his memorial service, the soloist sang Janis Joplin tunes for the closing. A fitting end for a wonderful friend. When did you become a fan of Janis Joplin? Did you ever see her in concert? Which album is your favorite? To this day, I cannot hear a Janis song without thinking of Lee, and it's been over 20 years! Thank you for the kind comments, and glad to hear that you, too, are a Janis fan. Janis led such a troubled life, always wanting to be accepted by her family. Her pain and disappointment are reflected in her music.